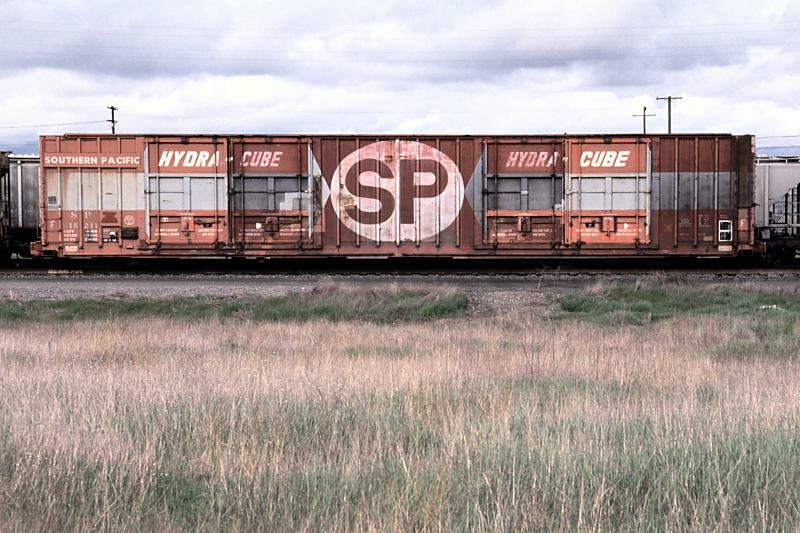 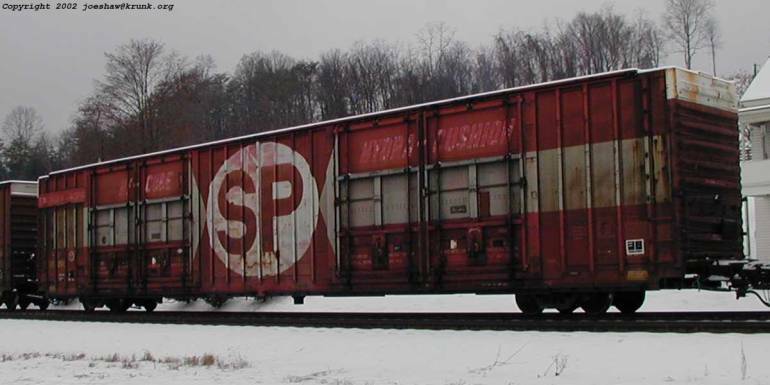 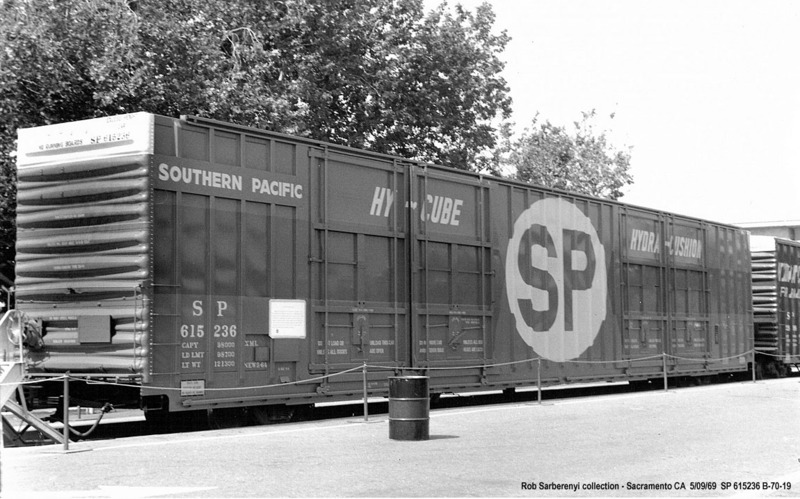 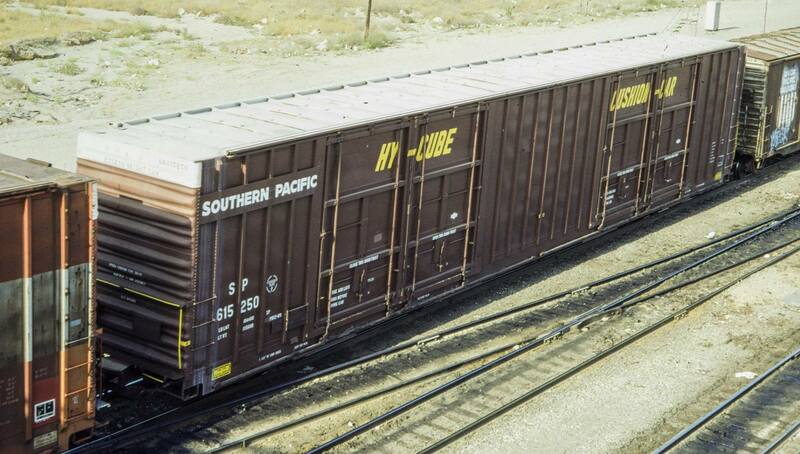 These 86'-6" box cars were built by PC&F in 1964 and featured two separate 20' Youngstown plug doors per side, bulkheads, cushion underframes and 10,414 ft3 capacity. 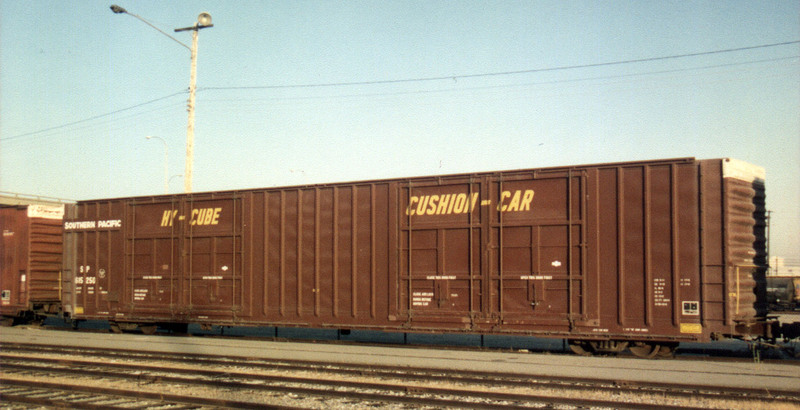 Some of these cars were later rebuilt into B-70-19R's. 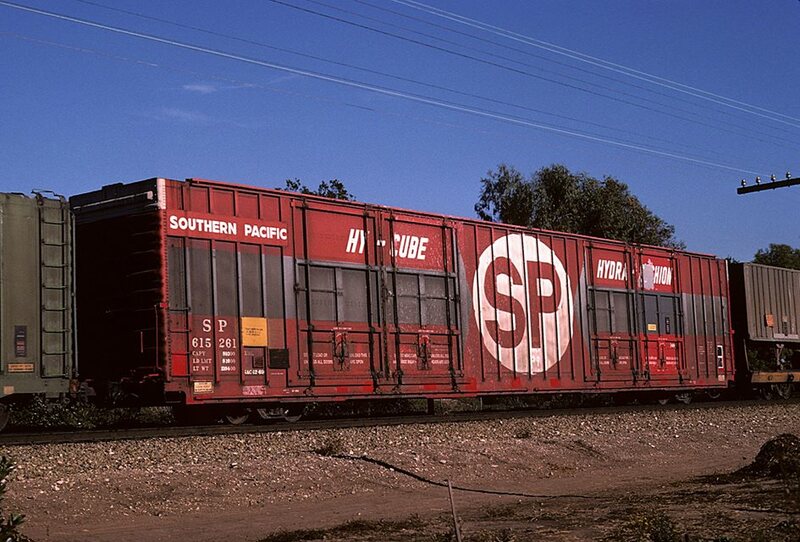 Also see these images of Clyde King's incredible model of SP 615206. 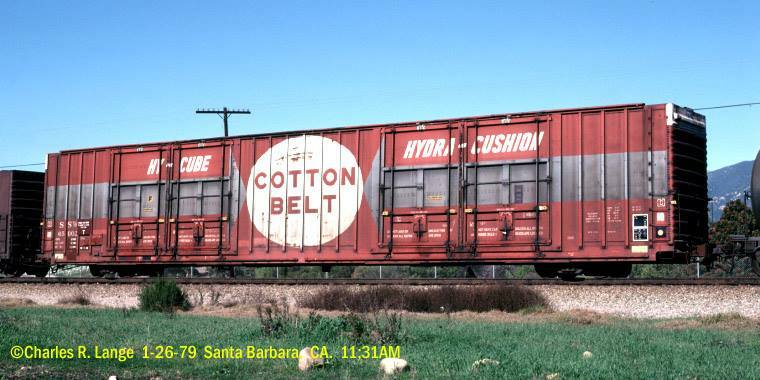 Clyde promises a Cotton Belt version next!